Keeping your dog in tip top condition is essential and we've searched the country to find the best dog grooming products for you. Our range of dog shampoos and condtioners are all made with natural ingredients that will leave your dog's coat lovely and shiny whilst replenishing essential nutrients and smelling delicious! 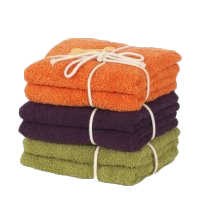 Wrap them up in one of our soft egyptian cotton towels after bath time for the perfect end to a lovely pampering session. Make bath time a special time for both you and your pet with our fantastic range of luxury dog shampoos and conditioners that will leave your dog smelling so good and feeling silky soft. Our friends at ScruffyChops have developed a range of organic dog shampoos that have Dead Sea Minerals, Oatmeal and Aloe Vera that make up these 98% natural shampoos. No harsh chemicals are used so your dog will be left irritant free. The coconut conditioner for dogs is not to be sniffed at, or is it? Smelling of tropical coconuts, your dog’s coat will be so smooth and shiny after a dose of this conditioner that you’ll never want to use anything else. We also have a great selection of luxury dog towels for drying your dog off after a luxury bath or for wiping muddy paws after a nice walk in the park. Our luxury dog towels are made from the finest Egyptian Cotton, well, you wrap yourself in the best so why shouldn’t your dog do the same?